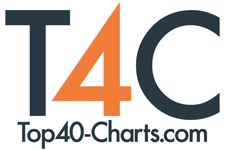 New York, NY (Top40 Charts) "SOS (Feat. Aloe Blacc)", the first track to be released from the upcoming Avicii album TIM is out today. Sleek and modern, the song is built on Aloe Blacc's soaring voice and a dually spare and brightly layered pop production from Tim Bergling, Albin Nedler and Kristoffer Fogelmark. When Tim passed away in Oman on April 20, 2018, the music was 90 percent ready. "Afterwards, finishing them was ... I just get paralyzed by talking about it, but everything was about completing Tim's vision," says Fogelmark.